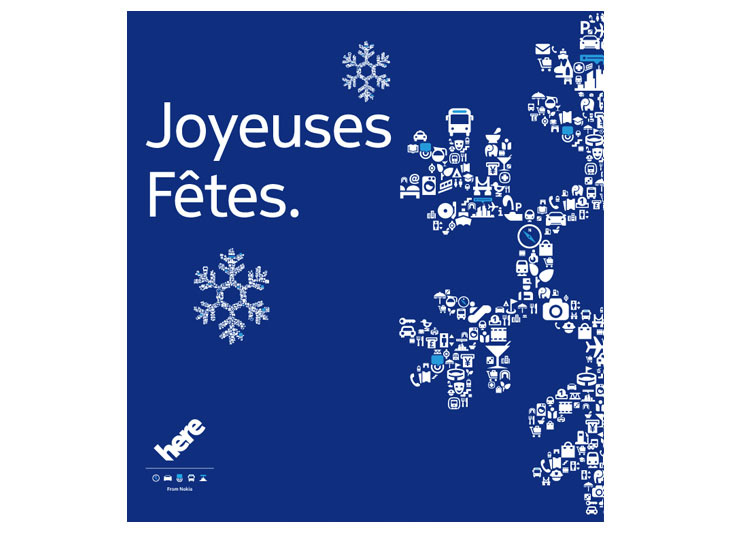 The HERE (Formerly Nokia Location & Commerce) holiday card was a project that needed to be created quickly to fill the sales group's need for a branded holiday e-card to send to customers. I chose to use the branded map icons (a reference to digital mapping and navigation) to create mosaic snowflakes. After the artwork was approved, the cards were translated into seven other languages and distributed to customers around the world.